International call-ups has led to a potential top-of-the-table meeting in Scotland's League One between and being postponed. The match was due to be hosted by leaders Rangers on 12 October and broadcast live on television. But Rangers requested a postponement as they will have at least three players on international duty. Lee Wallace is in the Scotland squad, Lewis Macleod in the under-21s and Arnold Peralta will be with Honduras. Andy Little and Dean Shiels are both on stand-by for Northern Ireland. A new date for the fixture has not been announced. 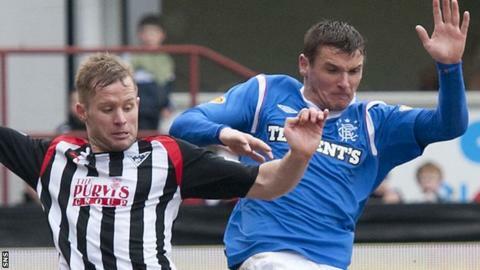 Dunfermline presently sit second in League One, five points behind Rangers and three ahead of Stenhousemuir.